Government officials, regulatory bodies, and the media look to the SSA to understand the U.S. wild-caught shrimp industry’s opinion on issues that affect your way of life. A robust and representative membership allows the SSA to speak on behalf of the industry with a strong, united voice. 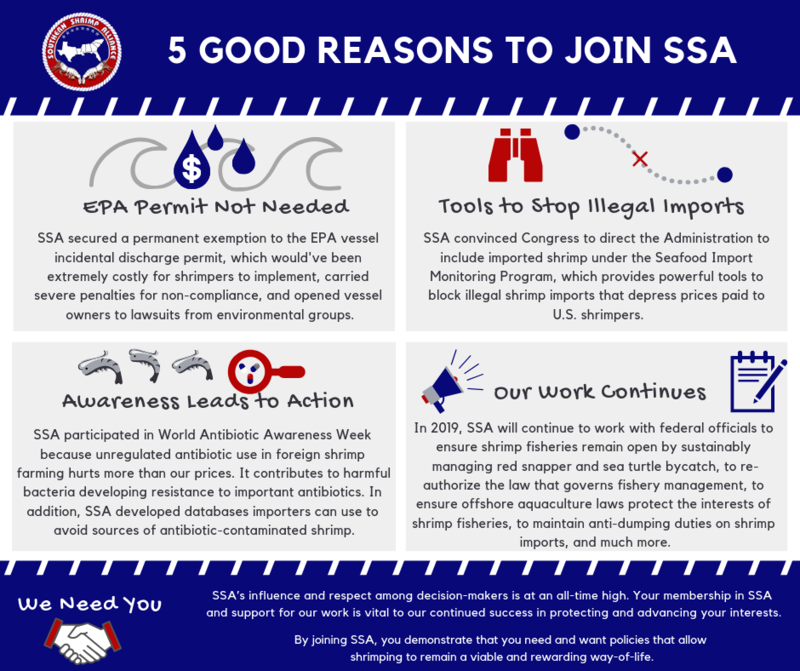 By joining the SSA, you provide support for your industry and enhance its influence in both the national and international arenas. Services, such as legal, political, and public relations, otherwise not available to most individual harvesters and processors. The Southern Shrimp Alliance needs your support and full participation in order to achieve a truly fair and preferred market for American shrimp products.